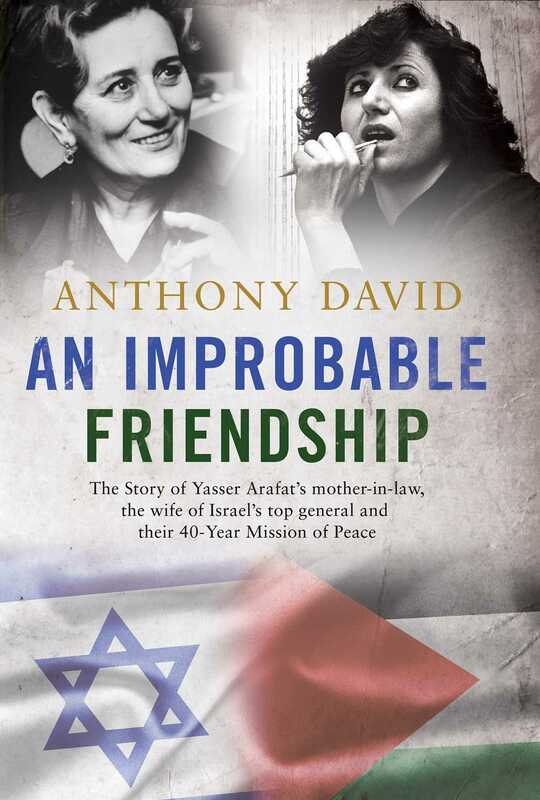 An Improbable Friendshipis the dual biography of Israeli Ruth Dayan, now ninety-seven, who was Moshe Dayan's wife for thirty-seven years, and Palestinian journalist Raymonda Tawil, Yasser Arafat's mother-in-law, now seventy-four. It reveals for the first time the two women's surprising and secret forty-year friendship and delivers the story of their extraordinary and turbulent lives growing up in a war-torn country. Based on personal interviews, diaries, and journals drawn from both women-Ruth lives today in Tel Aviv, Raymonda in Malta-author Anthony David delivers a fast-paced, fascinating narrative that is a beautiful story of reconciliation and hope in a climate of endless conflict. By telling their stories and following their budding relationship, which began after the Six-Day War in 1967, we learn the behind-the-scenes, undisclosed history of the Middle East's most influential leaders from two prominent women on either side of the ongoing conflict. An award-winning biographer and historian, Anthony David brings us the story of unexpected friendship while he discovers the true pasts of two outstanding women. Their story gives voice to Israelis and Palestinians caught in the Middle East conflict and holds a persistent faith in a future of peace.